Caterpillar (NYSE:CAT), the world's No.1 heavy machinery maker, boosted Tuesday its 2018 profits forecast after beating estimates for first-quarter earnings on strong global demand for its equipment. For the three months ended on March 31, the Deerfield, Illinois-based firm, which is considered a reliable bellwether of global economic activity, reported a net profit of $2.74 per share, above most analysts' consensus forecast of $2.04 per share. It cited better-than-expected sales volume as the main driver of its improved full-year guidance. The firm, which saw continued strength for construction in North America and infrastructure in China in the first quarter of the year, boosted its 2018 profit outlook by $2 a share over the previous quarter, to a range of $10.25 to $11.25 per share. Caterpillar cited better-than-expected sales volume as the main driver of its improved full-year guidance, which assumes continued global economic growth. But the company warned that any potential impacts from geopolitical risks and trade restrictions had not been included in the outlook. 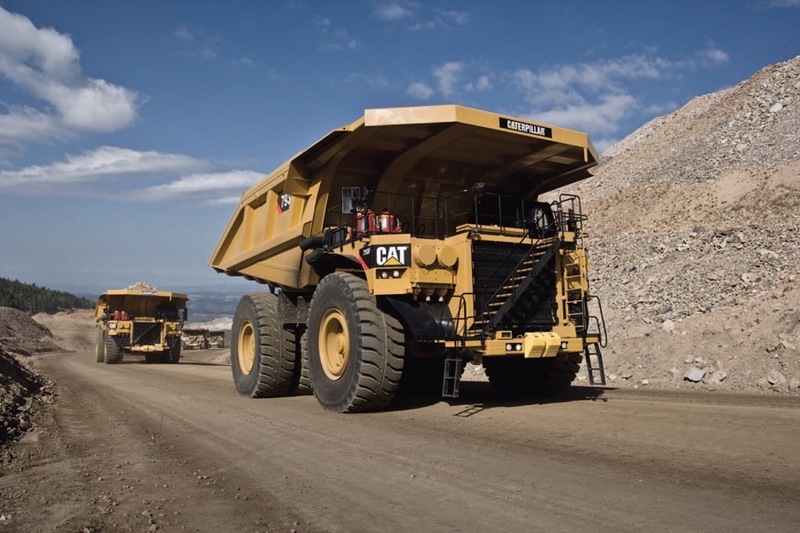 Increased volume also drove CAT’s total sales up 38% from the year-earlier quarter, to $5.7 billion. Despite the positive results, shares in the company dropped about 5.8% and they had lost $6.5 by noon trading at $147.05 at 12:30 ET, after management indicated during a conference call the freshly published results might be as good as it gets. First-quarter adjusted profit per share "will be the high watermark for the year," said chief financial officer Brad Halverson. Taken from CAT Quarterly Highlights. "The combination of strength in many of our end markets and our team's continued focus on operational excellence — including strong cost control — helped us deliver improved margins and a record first-quarter profit," chief executive Jim Umpleby said in a statement. The heavy-duty equipment manufacturer added 10,900 jobs from a year earlier, bringing its worldwide total to 118,800 and it repurchased $500 million of common stock in the first quarter of 2018. Caterpillar’s performance is often seen as a gauge of the health of the global economy, as its machines are huge, expensive, and used in different kinds of projects to which companies and governments are only likely to commit if they're confident in the economic outlook and their financial standing.